Hello, friends! I wanted to take a moment to share some info about our current shop sale – the Spring Cleaning Sale! We’re participating with other members of the Vintage Michigan Team on Etsy in a coordinated “Featured Four” sale. Right now, the four items in the top row of our shop’s front page (Featured Items) are on sale at an awesome 30% discount off the regular price! These items will be rotated with new items later this week, so make sure to check back again soon! This elegant art glass vase is so unique because of the way it was blown into the fancy metal frame and stand. 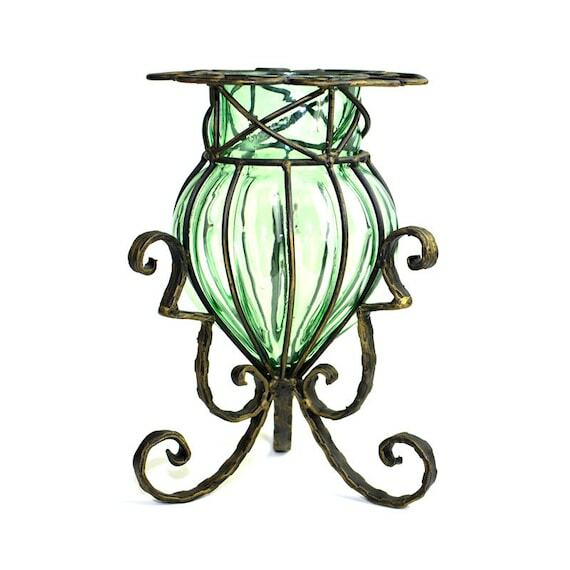 A wonderfully vivid emerald green color, lustrous and worthy of a place of honor in your vintage home decor! Right now, $27.96! Stunning in bright lime color, with soft milky stripes and gorgeous details! 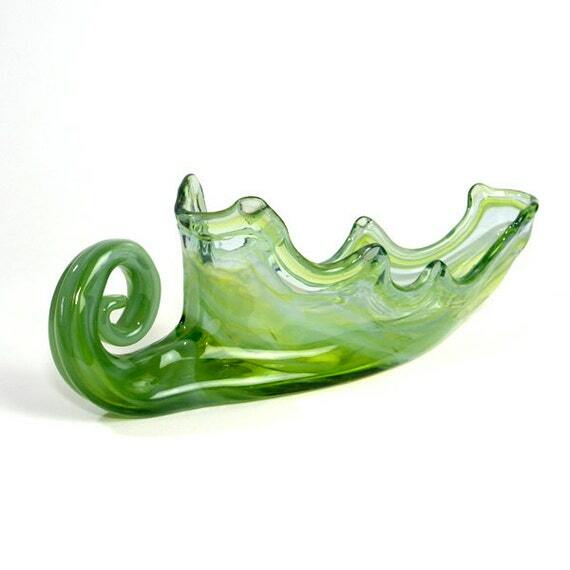 This hand blown glass art sculpture resembles the popular cornucopia style and would make a beautiful addition as vintage home decor! Right now, $13.96! 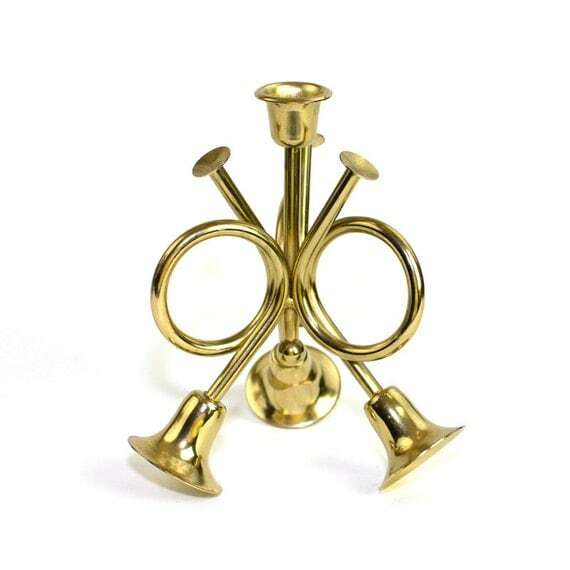 A classic design in elegant brass! 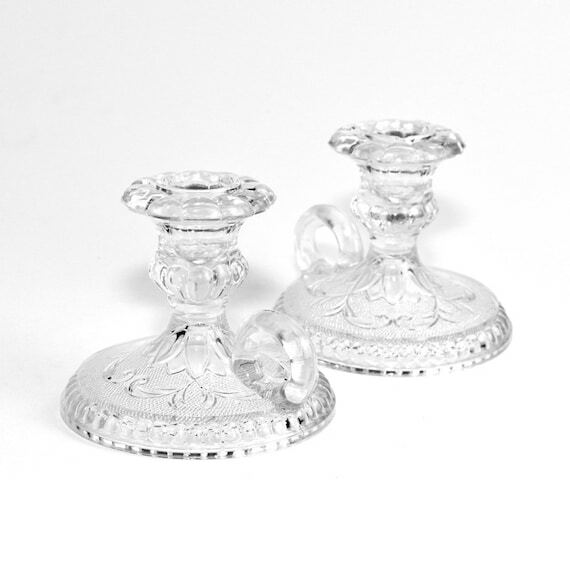 This beautiful tapered candlestick holder is sure to make a great centerpiece for vintage home decor. Right now, $6.96! A perfect addition to your home bar or man cave! 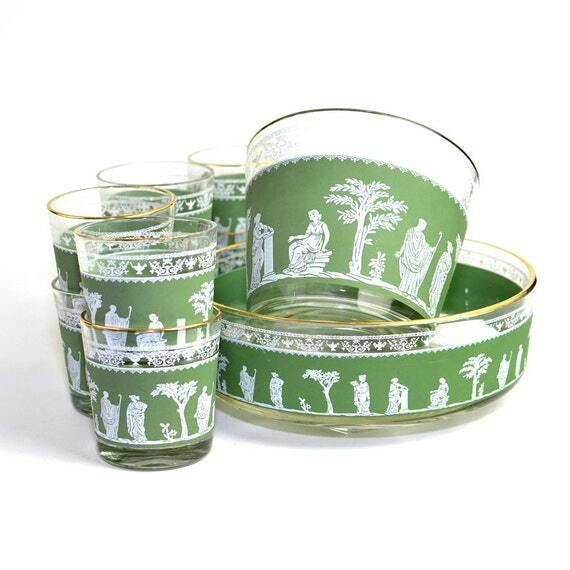 This gorgeous 10 piece jasperware set by Jeannette Glass Company, circa 1950’s, features a white detailed Greek design over sage green of the “Hellenic” pattern series. Right now, $29.36! For more vintage home decor inspiration and fabulous funky retro finds, visit One Rusty Nail on Etsy! Versatile for any occasion, season, or room in your home! 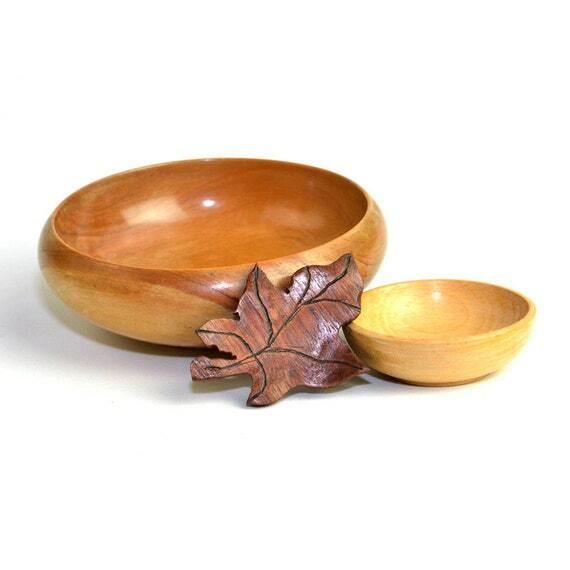 This instant woodsy collection includes a large bowl, a small bowl, and a dark wooden leaf trinket. Beautiful for a rustic decor scheme or stand-alone decorations. Great for repurpose, too! 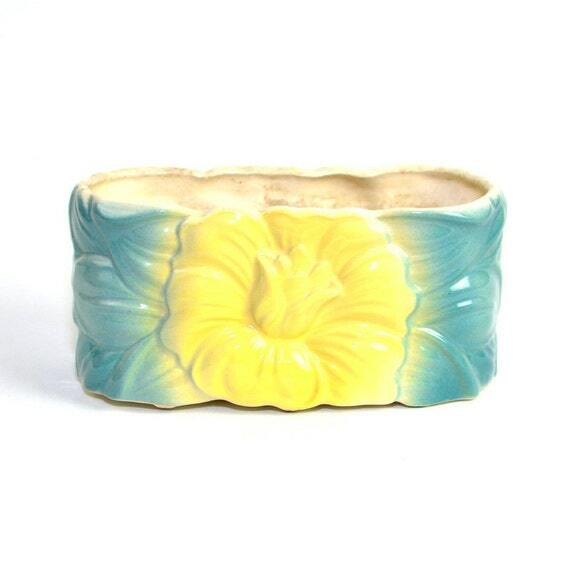 This planter features a pretty floral design on both the front and back with shades of bright sunshine yellow and soft teal blue. It’s the perfect vintage accent for your home decor, or perhaps for use in the nursery! What a cutie! 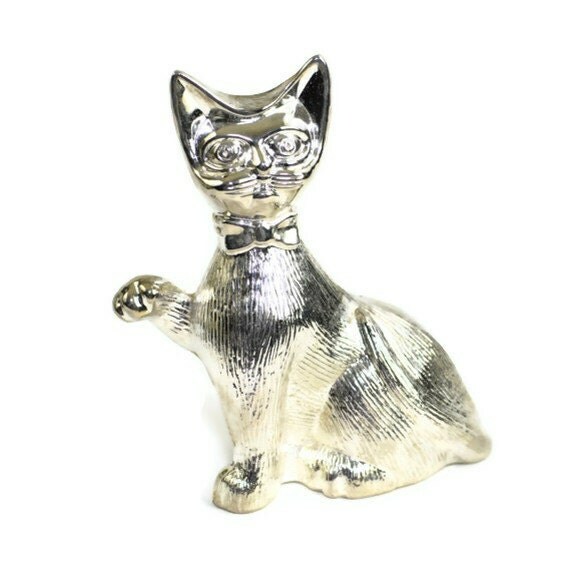 This silver tone metal cat figurine is actually a coin bank. Playfully posed with one paw poised in the air, wearing a bow tie around his neck – it’s just too sweet and kitschy! Perfect shiny bling accent for your vintage or retro home decor!